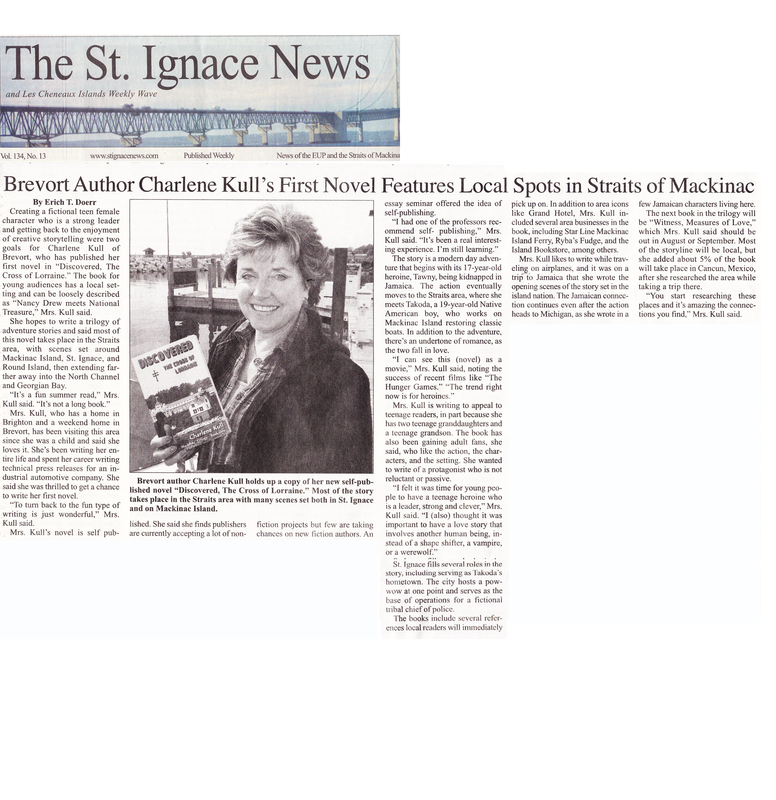 The St. Ignace News Features My Novel! Discovered – the Cross of Lorraine. You just might be able to read it. The reporter did a nice job. Hope the potential audience saw it!